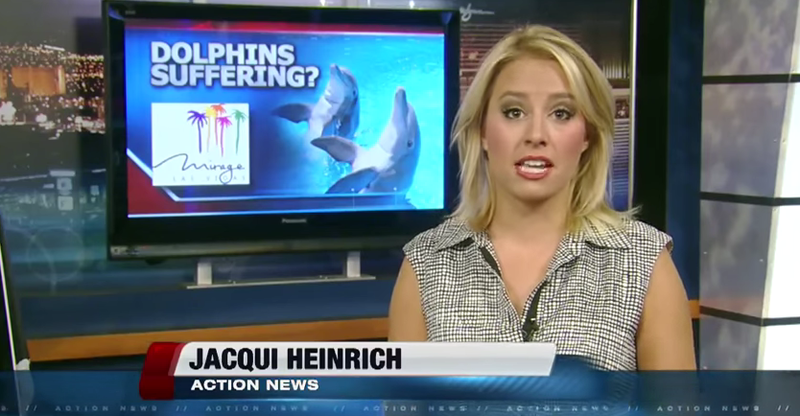 Is the dolphin habitat keeping national acts away from the Mirage? SeaWorld ‘Loaned’ Dolphin To Casino. And It Killed Him. A Shady Affair: Protesters Say Mirage Dolphins Need Shade! The Dodo: Tell MGM Resorts that dolphins don’t belong in the desert! RYOT: Help Save 10 Dolphins From Captivity in Las Vegas Swimming Pools! The Mirage Dolphin Habitat or the desert dolphin death pool? Las Vegas Now Killing Dolphins! The Mirage Dolphin Habitat: Token of accreditation for profit? Dolphin Activist Buying Animals, Not Selling Out!